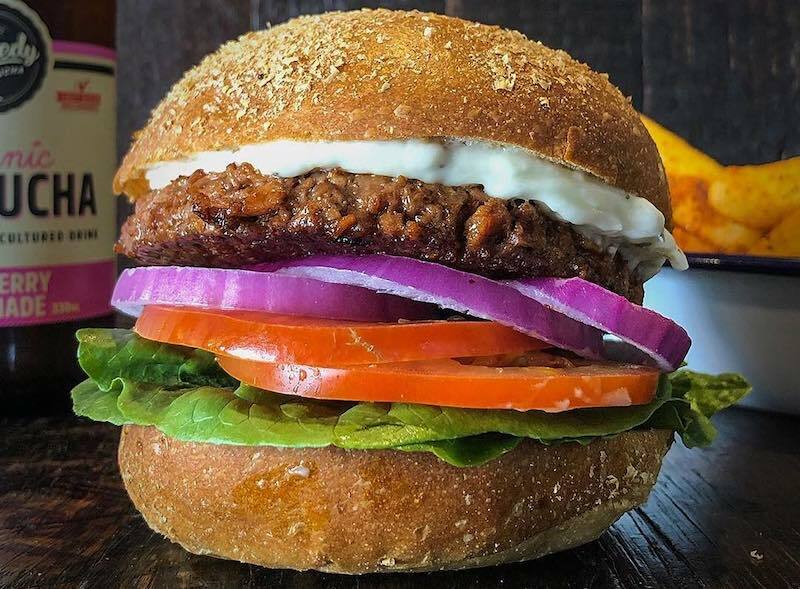 Looking for the best vegan restaurants in Sydney? Look no further. 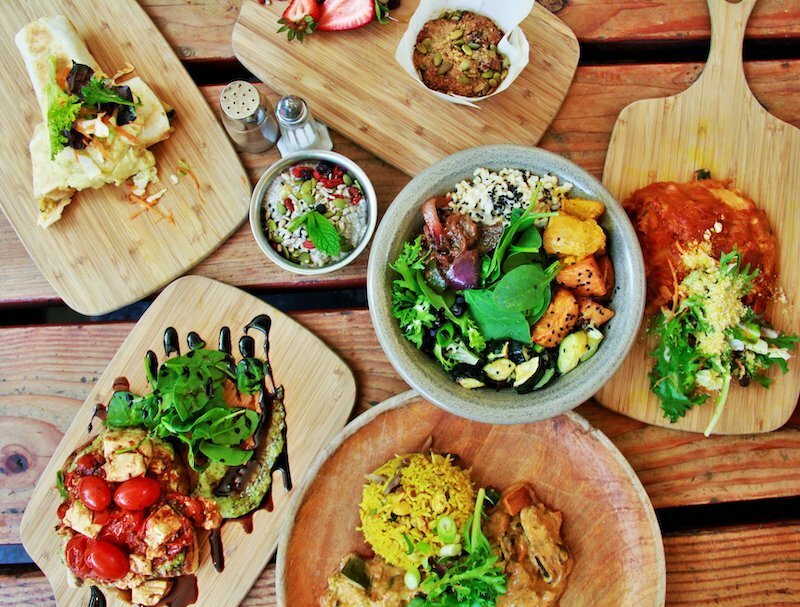 Sydney’s had a booming vegetarian dining scene for quite some time, however recently we’ve seen herbivore foodies searching for something more… ethical. Enter the vegan dining circuit. There’s a fine line between vegetarian and vegan, and that line is made up of eggs, dairy, and any animal by-product for that matter. 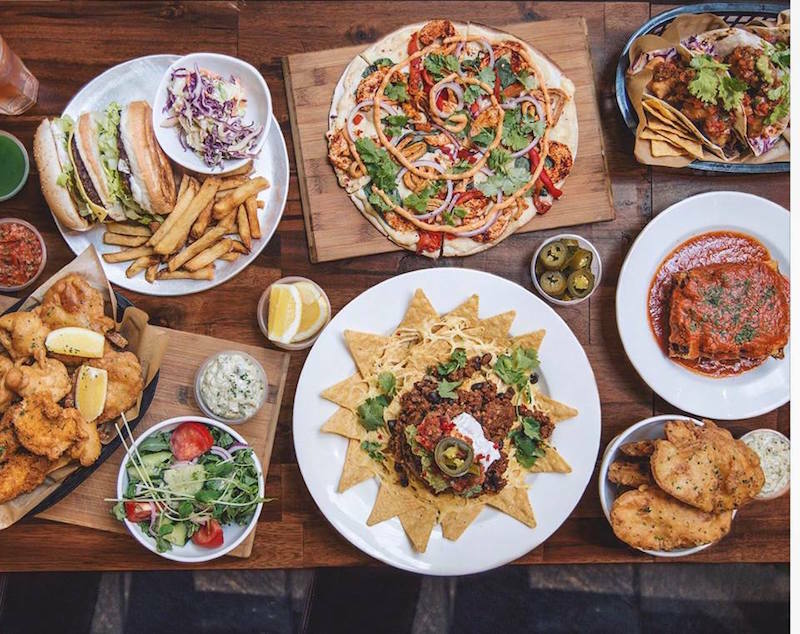 Whoever said you can’t be vegan and a foodie will be eating their words, or their mung beans, as we’ve put together this list of the best vegan restaurants in Sydney. There’s no melted mozzarella, salami or pepperoni in sight at Gigi’s, operating as a completely plant based pizzeria in Newtown. Flavour doesn’t come as an afterthought though, with the menu adhering to authentic and traditional flavours from Naples, Italy. Feast on the likes of the Marinara Tradizionale, a stone roasted pizza topped with San Marzano tomato, garlic & fresh oregano, extra virgin olive oil or a Funghi e Radicchio pizza, made with swiss brown mushrooms, garlic, dairy free blue cheese, parsley, radicchio, roasted walnuts and extra virgin olive oil. 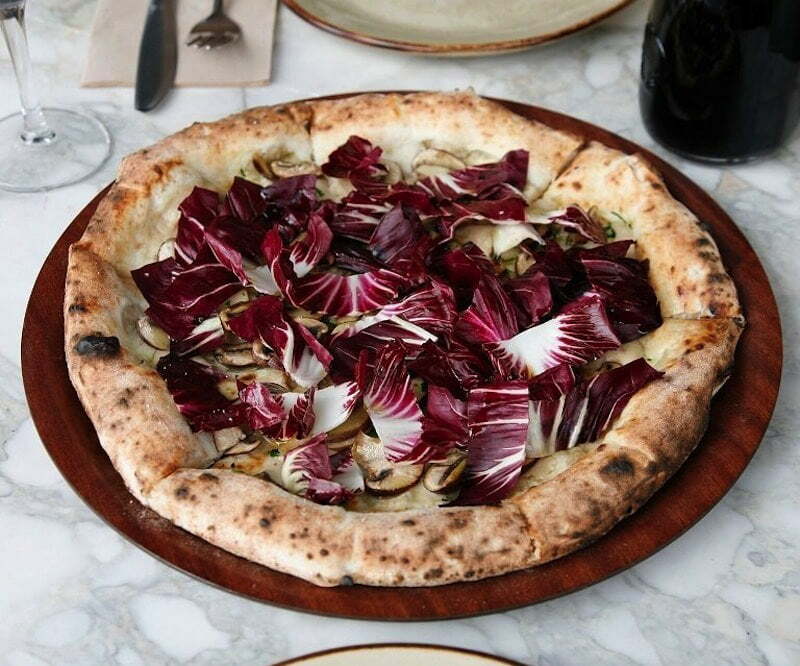 Alibi is the latest plant-based restaurant to arrive to designer hotel Ovolo Woolloomooloo. The bespoke cocktail menu takes its inspiration from local and international flavours, serving up new classics and old favourites. Alibi is the ideal place to impress, challenge, and welcome your senses to the world of plant based fine-dining. The Green Lion is Sydney’s first ever plant based bistro pub. Your mind isn’t playing tricks on you when you read the likes of beef tacos, mac and cheese and beef burgers on the menu. These pub favourites are made using clever meat and dairy replacements, meaning that you really can have your cake and eat it too. When someone mentions the words ‘pay-as-you-feel restaurant’, whether you’re a carnivore, herbivore or vegan, your interest will definitely pique. Lentil As Anything is a unique social food movement that started in Melbourne. This long-standing vegetarian and vegan community run kitchen stands by the philosophy that we should all break bread together, with all ingredients for the regularly changing menu being donated. This unique restaurant has to be experienced to be believed, visit around lunchtime during the week so you don’t end up in the weekend queue-off. If devouring YumCha under the stars sounds like your cup of green tea, then look no further than Bodhi Restaurant and Bar. Pioneering vegan YumCha in Sydney, Bodhi serves up imitation meat (largely substituted with tofu and soy) dishes that will have any carnivore fooled (vegetarian Peking ‘duck’ anyone?). They don’t have a set lunch menu, as their famed YumCha menu is constantly being re-veggified. Bodhi serves up a generous Pan-Asian menu, so you can find a little bit of everything flavoursome from the East. The outdoor bar area gets busy on the weekend, so if you want a more intimate sit-down meal they’ve got you covered with indoor seating. Bodhi Restaurant and Bar 2-4 College Street, Sydney 9360 2523. 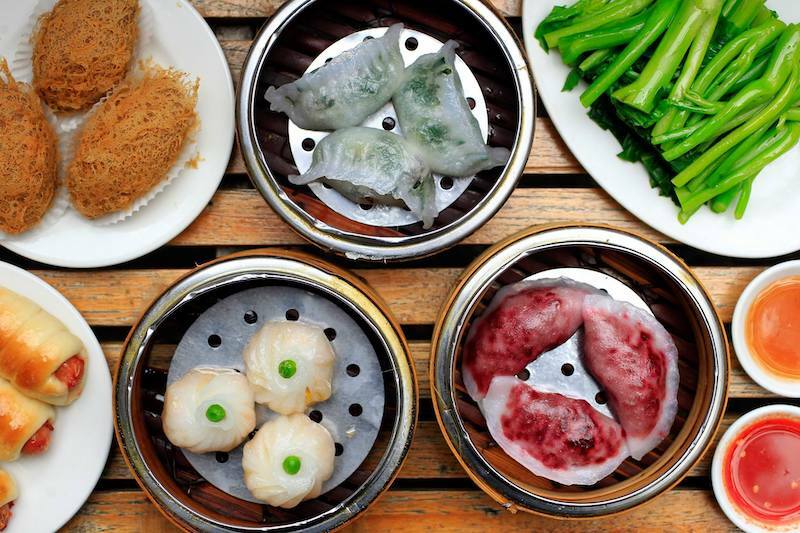 Lunch (Yum Cha): Mon-Fri 11-3, Sat-Sun 11-4. Dinner (A la Carte) Tues-Sun 5-10pm. Soul Burger are all about ‘selling real burgers with real meat built from real plants’. To the unsuspecting eye, you might think this is your everyday burger joint, with items including ‘battered fish’, ‘grilled pork’, ‘Southern fried chicken’ and ‘pulled pork’ burgers all featuring on the menu. Don’t be fooled though. There isn’t a meat product or bi-product in sight. You can now get your burger fix at various locations, including Newtown, Glebe, Randwick and Parramatta. Yellow is the vegetarian bistro found in Potts Point, opened by Brent Savage and Nick Hildebran, from Bentley Restaurant + Bar, Monopole and Cirrus. Inspired by the European dining scene, contemporary food and wine are served in an informal setting at affordable prices. 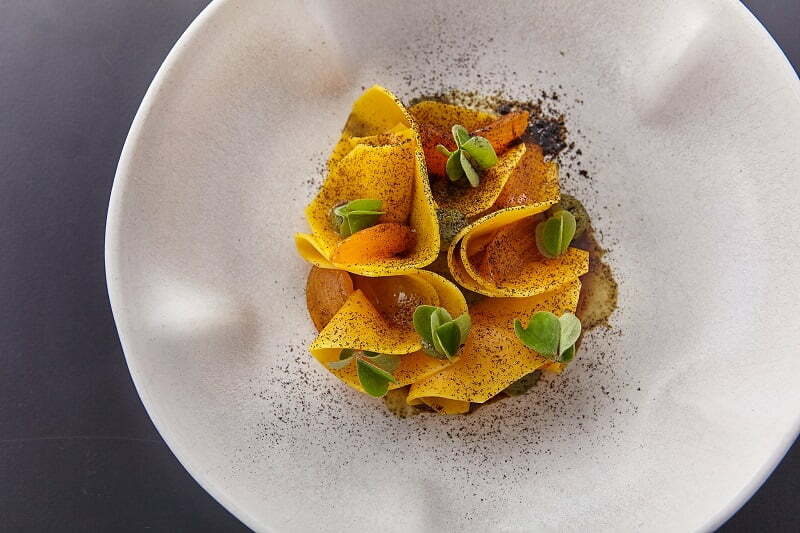 Yellow fulfils the demand for vegetarian and vegan dining in Sydney, with their plant-based menu focusing on ingredients grown by local suppliers. They offer Vegan Tasting Menus, with course and 7 course options and the choice to match with wine or non-alcoholic beverages. Yellow, 57 Macleay St Potts Point NSW, 02 9332 2344. Dinner: Mon-Sun from 5pm, Brunch: Sat & Sun from 11am. Paperbark is a plant-based restaurant found in the Casba Building in Waterloo. These folks are bringing fine dining into the vegan-sphere. They work with small-scale producers, minimum-intervention wines and support native Australian ingredients. 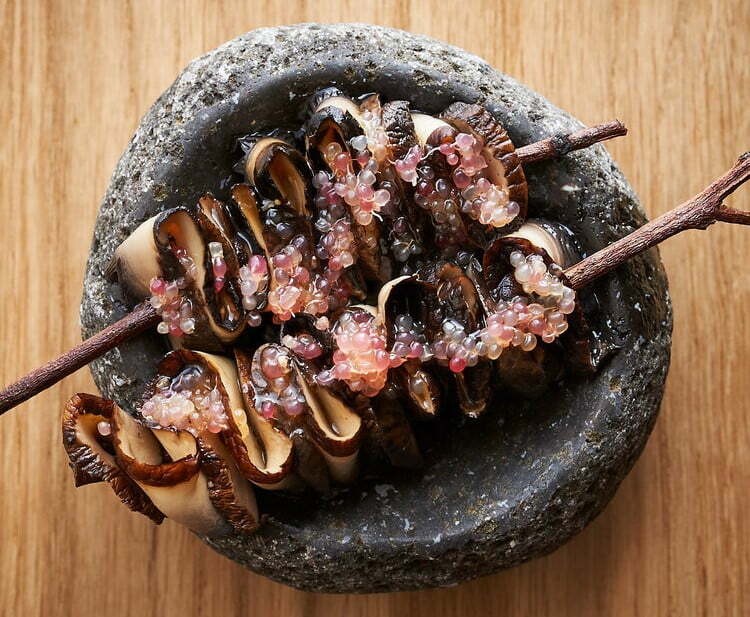 Expect to find native delicacies like finger lime and wattleseed. The famous Paperbark mushrooms with macadamia and finger lime are a must try. Paperbark, 8/18 Danks Street Waterloo NSW 2017, 02 9310 1356. Mon 6pm-10pm, Wed & Thurs 6pm-10pm, Fri 6pm-12am, Sat 6pm-12am, closed Tues & Sun. This spaghetti and spritz bar is the perfect spot for both vegan and non-vegan friends to dine together, the menu providing 50/50 plant-based and meat options. Situated on buzzing Waterloo Street in Surry Hills, this neighbourhood gem dishes up old-school pasta classics alongside modern variations. Their famous vegan egg yolk is sure to fool even the most trained eye. Mark and Vinny’s, G08, 38-52 Waterloo St Surry Hills, 02 9007 7789. Dinner: Mon- Sat from 6 pm, Lunch: Fri 12 – 3 pm. Fair-trade fast-food, is what it’s all about at Funky Pies in Bondi. This 100% vegan pie house will banish any bad memories you had of mystery-meat servo pies. All of their flakey vegan treats are created on site by a small but dedicated team of vegan pie connoisseurs. We suggest trying the ‘G’day Satay’ for a spicy, potato treat. You’re truly living the Aussie dream as you can chomp on your pie while staring down at Bondi Beach, but if you’re in a rush they offer takeaway containers as well. They’ve also got some good drinks and desserts on the menu, but we all know who steals the show. Chances are, whether you’re vegetarian or vegan, you’ve been around this organic block before. A visit to Iku Wholefood is like a vegan initiation, offering breakfast, lunch, dinner, and a treats cabinet. Their ‘Macroburger’ or ‘Vegetable and Tomato Lasagne’ are both top favourites on our list, but if you’re on-the-go you can grab one of their mezze snack boxes. There’s plenty of Iku Wholefood’s dotted all over Sydney’s map. Vegetarian butcher, now there’s an oxymoron for you. Initially stirring up controversy as a vegetarian butcher, Suzy Spoons was apparently stirring in all the right directions, as demand for her vegan products skyrocketed in the wake of overly processed, disappointing ‘meat’ alternatives. Suzy has her own brand of vegetarian and vegan sausages, burger patties, smokey rashers, and more. Suzy Spoons doesn’t have a restaurant or eatery as such, but all of her products are available online and are sold in health food stores and small supermarkets in NSW, Queensland, Victoria, ACT and Western Australia. The name matches the exterior at this 100% vegan Chinese restaurant. Following a nourishing for the mind, body, and soul philosophy (abstaining from the use of onion and garlic in their cooking for ancient spiritual purposes) their twelve-page menu has you spoilt for choice. Famed for their innovative use of tofu, they also offer the option to dine large with their banquet menus. Additionally Green Gourmet offers a takeaway and catering service, as well as wholesale to a handful of premium grocers.